Rent Romus is a force spanning over 25 years of D.I.Y. music production, performance, and curation who “swings like death and hell” according to Danish writer and producer Jack Lind. 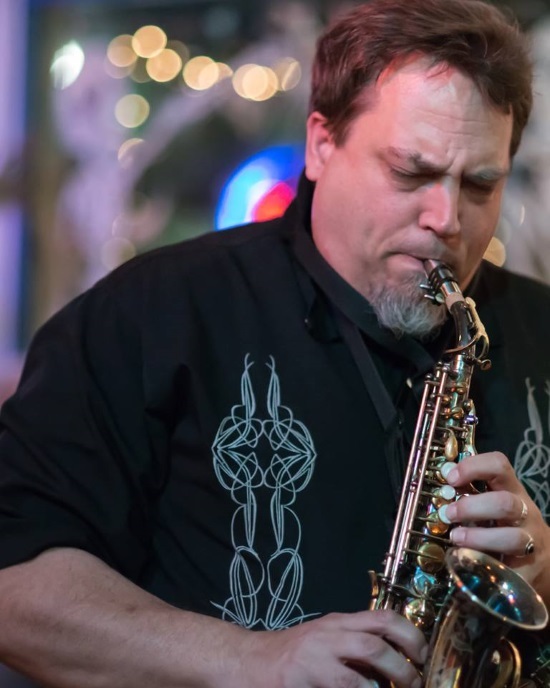 Originally from the San Francisco Bay Area, Romus work on the saxophone has been dubbed “ferocious” by the San Francisco Weekly and “central to the creative music world of the West Coast” by writer jazz critic Frank Rubolino. From his very beginnings as a student of jazz while being exposed to the twilight tutelage of Stan Getz he found himself drawn to the outer realms of Sun Ra and Albert Ayler, as well as Derek Bailey and the sheer catharsis of noise by musicians like Merzbow. He currently runs collective ensembles such as the Lords of Outland as well as the Life’s Blood Ensemble and most recently The Ruminations. 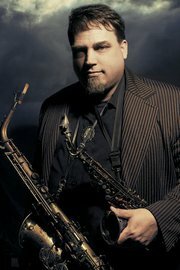 Romus has recorded exploring improvisation and composition from whispers to high energy in a wide variety of musical settings on over 35 albums both as a leader and sideman which have included Chico Freeman, John Tchiai, Vinny Golia, Thollem McDonas, Stefan Pasborg, Dave Mihaly, James Zitro, Kash Killion, Jon Bridsong, Jim Ryan, and Ernesto Diaz-Infante, Josh Allen, and Instagon. As a D.I.Y. producer he runs Edgetone Records a label for many forms of improvisation and experimentation. He is the founder and Executive Director of Outsound Presents under which curates the bi-weekly SIMM Music Series at the Musicians Union Hall as well as the long standing weekly Luggage Store Gallery New Music Series, and The Outsound New Music Summit, a music festival held every summer.